When you’re traveling, either through a business travel agency or on your own, the last thing you should have to worry about is your identity or information security. Unfortunately, though, scammers and phishers know that travelers are vulnerable. Here are five common travel scams for you to be aware of the next time you take off. In the hustle and bustle of the city, it’s easy to leave behind personal items in the taxi and not realize it until the driver has pulled off. Mark Jakubczak saw this as an opportunity to scam people. His website, yellowcabnyc.com, claims to help passengers retrieve lost items left behind. You just pay $47 to get your items back — or so the website declares. Items are never returned, and Jakubczak has racked up nearly $700,000. In this situation, call the cab company directly. Can’t remember the name? Go to nyc.gov and fill out a form for lost items. If you’re not in NYC, call the local lost property precincts to see if your item was returned. Your hotel may have a negotiated rate with a driving service company, and they’ll claim you must use this since metered taxis aren’t allowed onsite. It’s never required for guests to use a preferred car service, even if taxis are prohibited. Hotels get a portion of the rate, so they’ll “strongly encourage” you to pay for these services. If you don’t want to overpay, leave the premises, and call your own taxi. Chip technology for credit cards is gradually becoming a requirement due to the influx of skimming devices placed on ATMs and gas station pumps. If you swipe your card on a skimming device, your credit card information is instantly shared to the black market. Inspect the swiping area for excess glue, and test how loosely it’s connected to the machine. If you notice either of these red flags, go to another machine, and let the company know as soon as possible. While staying at a hotel, your room number can easily be shared to a scammer through a dishonest hotel employee. The con artist will call your hotel room, letting you know there’s an issue with the card number on file. He will proceed to ask you to read your card information over the phone. Do not verbally share your information, no matter how legitimate the caller or “employee” sounds. If you find yourself in this situation, or if there is a legitimate issue with your card on file, go directly to the front desk with your information. 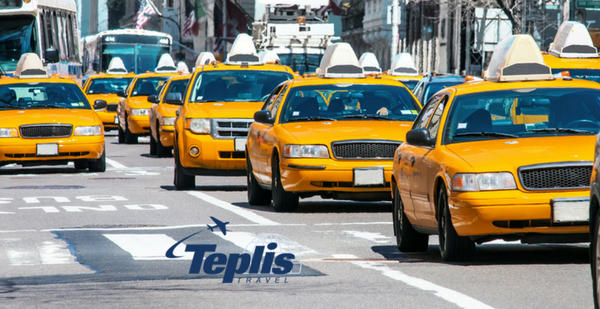 For your next corporate travel trip, let Teplis handle the details. Teplis Travel Service has been supporting travelers worldwide since 1972. We guarantee the lowest fares in the market and around-the-clock support. Get in touch with a Teplis representative today or call us at 800-669-6547.